If you are working in the hospital, understanding ECG’s during physical and occupational therapy takes the mystery out of the ICU and telemetry units, and brings clarity to the nurses’ and cardiologists’ conversations and charting. When you ambulate a person with a telemetry monitor, you can quickly read the monitor and decide if you need to stop or can proceed with the functional task. With practice you can recognize signs of MI’s, hyperkalemia, BBB’s, hypertrophy of the heart muscles, and more. There are many excellent websites and blogs with free content. Below are some of my favorites and why. Learning recognition and simulating realistic day to day use by therapists at the bedside or when ambulating a patient with a mobile display, I have found that the Skillstat ECG Simulator is a must. 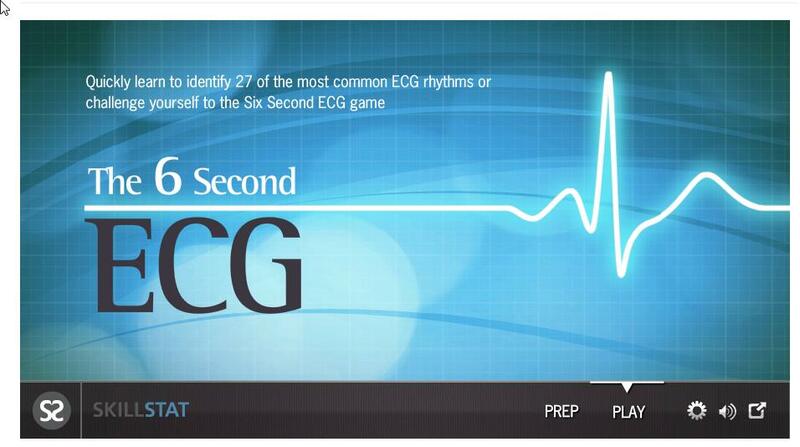 It is a fantastic interactive learning tool to recognize and test yourself on the 27 most common ECG rhythms. Below is a quick picture of the tool. If you want an excellent tutorial to reading a basic ECG, check out the video below. 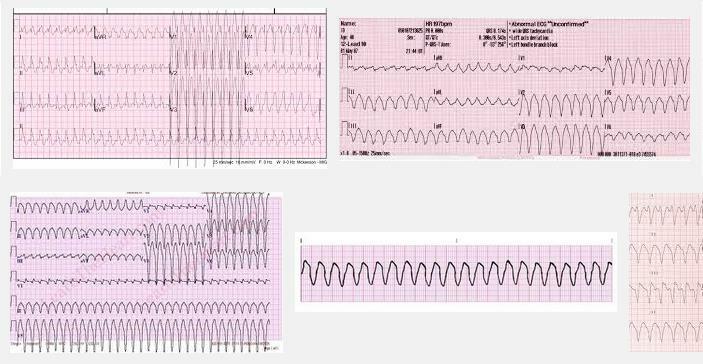 This video provides a specific and clear explanation on how to understand rhythm, rate, axis, P wave, P-R interval, QRS Complex, Q deflection, R deflection, S deflection, ST segment, and T wave. Here is a quick resource if you are not familiar with the 12 lead placements. 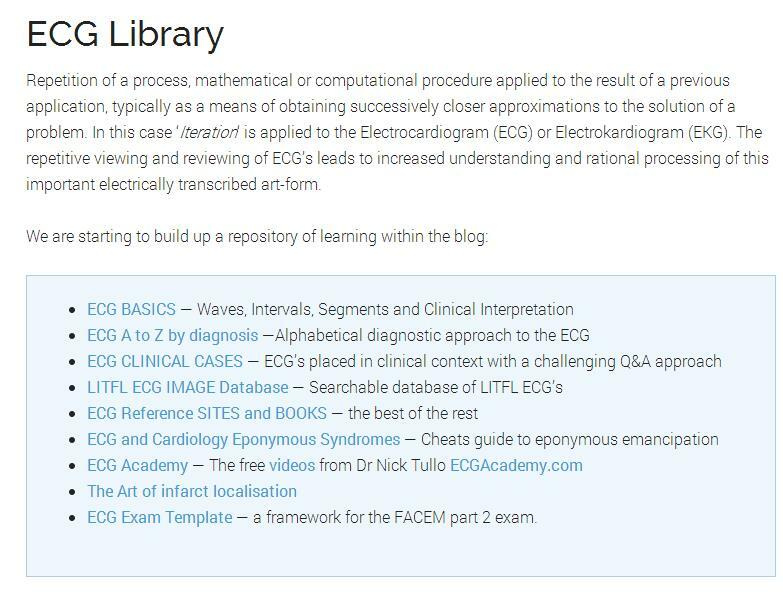 This site is very useful in understanding more complex explanations of working with an ECG. Another great resource is Lifeinthefastlane.com. This excellent website was developed by critical care physicians with a learner friendly web design. They build on concepts in a step-wise fashion so a novice can learn to read ECGs. They have a nice ECG library to help practice and understand common rhythms. Even though it is more detailed than some therapists need, it still provides excellent overview when learning this information. Once you know why the heart acts in a certain fashion, the faster and better recognition happens on a real bedside monitor. Something that I found on my own to help me practice is a large library of images on a certain diagnosis. 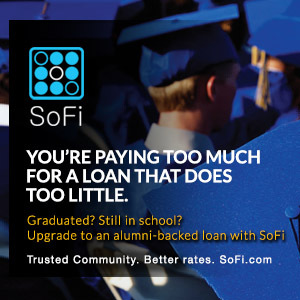 Many sites have quality libraries with learning points. However, for fast detailed images to I rely on Google images. Just type in the keyword you are needing practice. Below is a screenshot of the ominous “ventricular tachycardia”. There are hundreds of images to choose from in each major ECG rhythm. Understanding ECG rhythms is a critical skill when dealing with many of our most critically ill clients. As therapists, we are often called to evaluate and treat on the day of admittance, or after a critical surgery when it behooves us to quickly recognize potential life threatening rhythms. It is awesome that we can learn and sharpen our skills from these fantastic online resources. Take advantage of them and make your time in the ICU or telemetry unit an easy one.